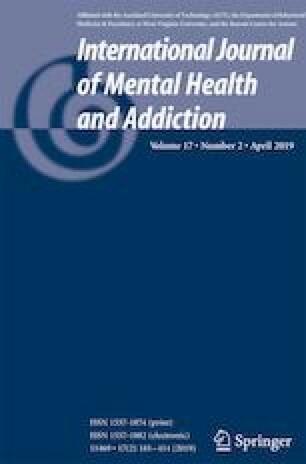 Clinical studies of problem gamblers (PGs) highlight the role of erroneous cognitions during problematic gambling, yet little is known about the role of cognitions in the maintenance of gambling problems. Twenty-nine electronic gaming machine (EGM) PGs engaged in focus groups and in-depth interviews, with a focus on understanding the relapse process in EGM gambling. Three themes and nine subthemes related to facilitatory cognitions were described; (i) creating available money (paying only essential bills, pokies money is not real money), (ii) minimising gambling as a problem (pseudo-control, ignoring harms), and (iii) struggling with overwhelming emotions. This paper expands our understanding of gambling cognitions and argues cognitions activated during problem gambling are more complicated than considered to date. These findings inform current cognitive therapy approaches by identifying a more comprehensive suite of erroneous cognitions. Addressing these cognitions may assist gamblers to maintain critical thinking about their decision to gamble, thus reducing their risk of relapse. The researchers acknowledge Gambling Research Australia (GRA) who commissioned the focus group component of this study. We thank the participants who gave their time and made this research possible. This work was supported by Gambling Research Australia (Grant No. 084/06), and a Flinders University Seeding Grant.